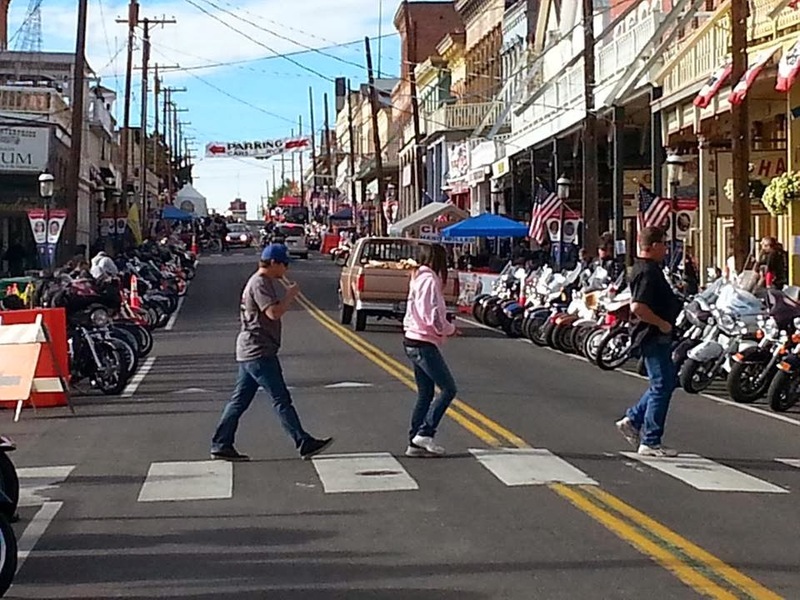 In spite of a snowy start to STREET VIBRATIONS® Fall Rally had another successful year bringing bikers together. Held September 25 - 29, 2013 in Reno, Sparks, Virginia City, and Carson City, the rally attendees proved to be the tough stuff true riders are made of. Looking to have fun in spite of inclement weather, riders gathered from far and wide to enjoy the crisp air and rumbles of engines. "It was pretty chilly start, but all of our vendors were really pleased with Friday and Saturday's turnout. Since we are not a ticketed event we base results on our beverage sales, which were very good this year. Everything went really well! Eric Estrada hosted a Bikini Girls Show and the crowd went wild! The fireworks were awesome too and we had so many people pleased with what we were able to deliver," said Danielle Squire, Operations Manager for Road Shows Reno, coordinators for the rally. Despite being America's 4th largest motorcycle rally, STREET VIBRATIONS® has enjoyed a record of being of one of the safest. According to Danielle, "We had no incidents at the event. As a rally we are unique in that we shut down streets and sidewalks. We are on public property so that changes the way we do things, compared to Sturgis and Daytona which is all held on private property. So taking into consideration public safety and the well being of our attendees is of utmost concern for us."